Biphenyl Ether , Carbonization untreated gases, Coke Oven Gas, Crude Petroleum, and tar from brown coal. Please note that these tubes have a shelf life of 2 years and come in a pack of 10. Methane, ethane, hydrogen and carbon dioxide are not indicated. If there is no reading, this does not always indicate that easily oxidizable substances are not present. 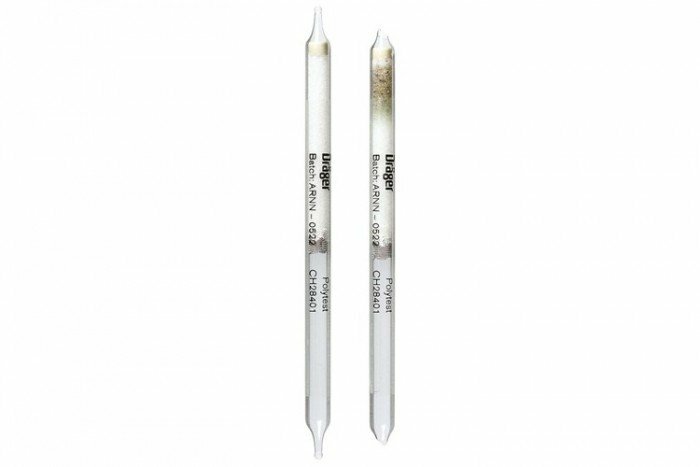 In the individual case, the use of Dräger Polytest should be qualified by independent methods, particularly when combustible gases and vapors close to the LEL, or toxic substances are suspected.